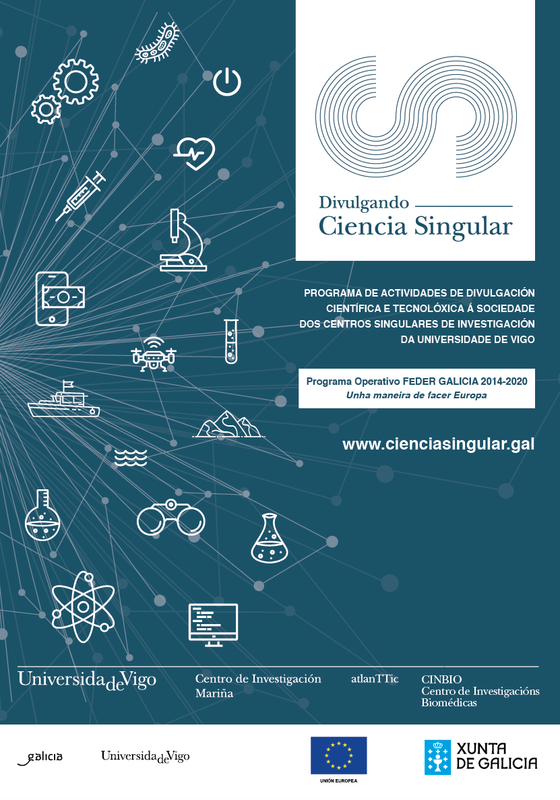 “Divulgando Ciencia Singular“ is the name of the program of activities organized by the three Singular Centers of the University of Vigo with the aim that citizens can discover the research activities that are carried out on them through a program of activities with demonstrations, workshops and laboratories guided tours. On its website, you can check the activities that will develop the Marine Research Center (CIM), the Research Center for Telecommunication Technologies (atlanTTic), and the Biomedical Research Center (CINBIO). The activities of CINBIO, presented by the director África González on September 28th (UVigoTV), will consist of two open days on October 26th and 27th. On Friday, October 26th, they will take place in the CINBIO building on the University Campus of Vigo and on Saturday, October 27th, in the Polytechnic Building of the Ourense Campus. For more information and registration CLICK HERE.